Any Oppo's have a vinyl cutter? Plus I made a thing! 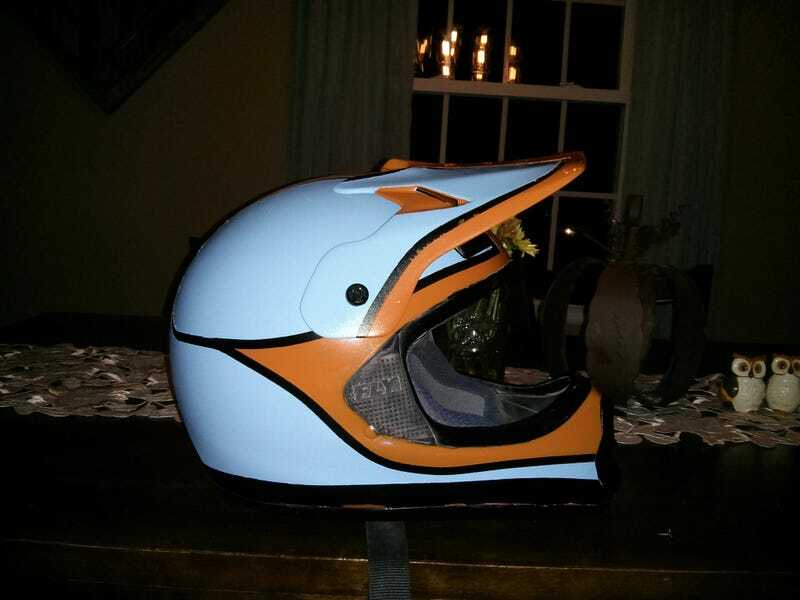 I just finished repainting this snowmobile helmet for my 2 year old son. Now I need a few graphics for it. I'm looking for a Gulf logo for the back, two 2"x4" ones of his name, Jack in gulf colors and font for the side and some type of black monogram initials JMW for the visor. Thanks in advance. I'll get more pics if anyone cares today with better light. Ojibwe Forest Rally with a toddler.